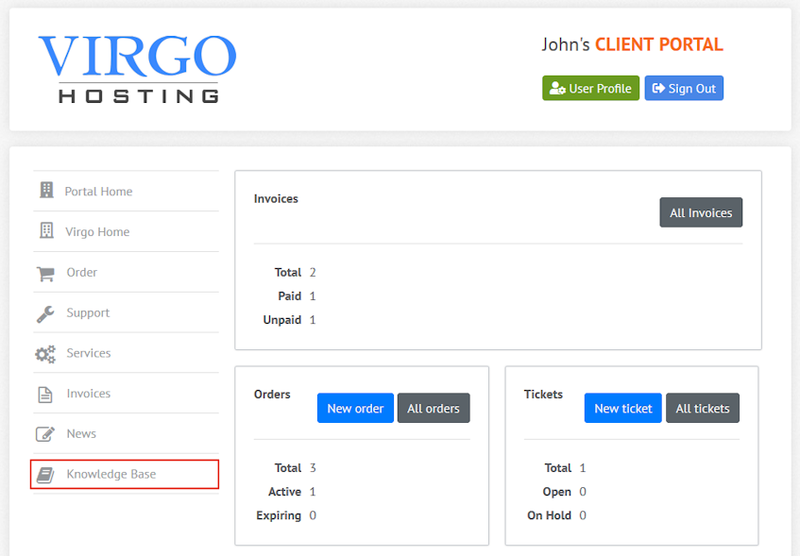 The Knowledge Base interface in the Virgo Hosting Client Portal lets you view our extensive articles about using our services and interfaces. In the client portal homepage, click 'Knowledge Base' button in the menu. If you're accessing the client portal from a mobile device, the menu will be accessible through the 'MENU'icon.